VOTE REPUBLICAN ON NOVEMBER 6th! Our Rationale: This will be billed as a Vet Housing bond... it is only in part. 1/4 of the bond funds are dedicated to veterans' housing. The rest is doled out to programs that won't do much, if anything, to address our housing crisis. The legislature could have truly made this a bond for veterans' housing... but they didn't. Instead the taxpayer will be on the hook for $7 billion dollars. Official Summary: Ratifies existing law establishing the No Place Like Home Program, which finances permanent housing for individuals with mental illness who are homeless or at risk for chronic homelessness, as being consistent with the Mental Health Services Act approved by the electorate. Ratifies issuance of up to $2 billion in previously authorized bonds to finance the No Place Like Home Program. Amends the Mental Health Services Act to authorize transfers of up to $140 million annually from the existing Mental Health Services Fund to the No Place Like Home Program, with no increase in taxes. Our Rationale: It is easy to see both sides of this reallocation of Prop 63 (2004) monies. Right now, the 1% tax on millionaire income is just sitting in a "mental health fund" and has contributed nothing in a decade to improving lives. The legislature virtually unanimously approved the No Place Like Home Act which would use the $2 billion sitting in the mental health fund to build temporary housing for the homeless who suffer from mental illness or those who are at risk of being homeless because of mental health issues. It's a tough call and truly an ideological one, but ultimately the CFRW Voting Body decided to oppose the measure, citing that the fund should be used for mental health programs, not homeless housing. Official Summary: Authorizes $8.877 billion in state general obligation bonds for various infrastructure projects: $3.03 billion for safe drinking water and water quality, $2.895 billion for watershed and fisheries improvements, $940 million for habitat protection, $855 million for improved water conveyance, $685 million for groundwater sustainability/ storage, and $472 million for surface water storage/dam repairs. Requires certain projects to provide matching funds from non-state sources; gives priority to disadvantaged communities. State costs of $17.3 billion to pay off principal ($8.9 billion) and interest ($8.4 billion) on bonds over a 40-year period. Annual payments would average $433 million. communities”. Very little is allocated to water storage or infrastructure. 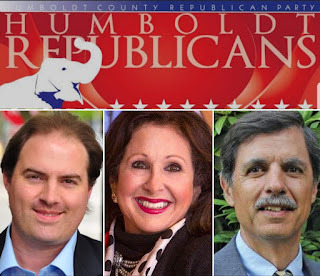 The California Republican Party took a Neutral position. The CFRW Voting Body decided enough was enough, with $83 billion in outstanding bond debt and not a whole lot to show for it. Official Summary: Authorizes $1.5 billion in bonds, to be repaid from state’s General Fund, to fund grants for construction, expansion, renovation, and equipping of qualifying children’s hospitals. Designates 72 percent of funds to qualifying private nonprofit hospitals providing comprehensive services to high volumes of children eligible for governmental programs and children with special health needs eligible for the California Children’s Services program, 18 percent of funds to University of California general acute care children’s hospitals, and 10 percent of funds to public and private nonprofit hospitals providing services to children eligible for the California Children’s Services program. State costs of $2.9 billion to pay off principal ($1.5 billion) and interest ($1.4 billion) on bonds over a 35-year period. Annual payments would average $84 million. Our Rationale: Children's hospitals have no problems fundraising privately. I suspect this is a money grab for several UC hospitals disguised as a Children's hospitals bond. Official Summary: Removes the following current requirements for homeowners who are over 55 years old or severely disabled to transfer their property tax base to a replacement residence: that replacement property be of equal or lesser value, replacement residence be in specific county, and the transfer occur only once. Removes similar replacement-value and location requirements on transfers for contaminated or disaster-destroyed property. Requires adjustments to the replacement property’s tax base, based on the new property’s value. Our Rationale: This will strengthen Prop 13 protections for those over 55 buying homes. Their property tax value on their previous home will be transferred to their new home purchase, regardless of how many homes they own or how many times they've moved. In an era where Democrats are trying to chip away at Prop 13, this is one good way to protect it and encourage seniors to move so that their homes can be made available for young families. Official Summary: Repeals a 2017 transportation law’s tax and fee provisions that pay for repairs and improvements to local roads, state highways, and public transportation. Requires the Legislature to submit any measure enacting specified taxes or fees on gas or diesel fuel, or on the privilege to operate a vehicle on public highways, to the electorate for approval. Our Rationale: The importance of this prop cannot be overstated. This single proposition could help us win other races across the state, even secure the House for Republicans. It is crucial we get the word out and support Prop 6! The fact of the matter is, the state has enough money in the General Fund to repair our roads and ease traffic through infrastructure, but the Democrats have siphoned off money for roads for three decades. SB 1 should have never been passed without voter approval first! Official Summary: Establishes the time zone designated by federal law as “Pacific standard time” as the standard time within California. Provides that California daylight saving time begins at 2 a.m. on the second Sunday of March and ends at 2 a.m. on the first Sunday of November, consistent with current federal law. Permits the Legislature by two-thirds vote to make future changes to California’s daylight saving time period, including for its year-round application, if changes are consistent with federal law. Our Rationale: There are many more important measures on the ballot. We have a system that works and much more pressing matters affecting our state. This is not the proposition you want to spend any time educating on. Even if it’s passed, the legislature and the Federal Government would have to approve it. It's not worth our time (pun intended!). Our Rationale: This proposition is one of the most important ones but may get lost in the shuffle if we aren't careful. This is a thinly veiled power grab by the SEUI and UHW to unionize dialysis clinics. Voters won't understand the importance of this ballot box power play... so we must educate them. Prop 8 would mandate that if dialysis clinics make more than 115% of their costs, they must "payback" their patients’ payers. Consumers won't see any of the revenue, and this may make it more difficult for patients to receive care if clinics are forced to shut down. It is despicable. The ballot box is not the place to unionize. Official Summary: Repeals state law that currently restricts the scope of rent-control policies that cities and other local jurisdictions may impose. Allows policies that would limit the rental rates that residential-property owners may charge for new tenants, new construction, and single- family homes. In accordance with California law, provides that rent-control policies may not violate landlords’ right to a fair financial return on their rental property. Our Rationale: Local, unelected "rent control boards" would wreak havoc on our local economies and would do nothing but make our housing crisis worse. This would shrink supply and repealing Costa-Hawkins would create a superficial bubble. It also does not allow landlords to bring a rental back to market value if it is vacated. The CRP said no to Prop 10 as well. Official Summary: Makes labor law entitling hourly employees to take work breaks for meals and rest, without being on-call, inapplicable to private-sector emergency ambulance employees. Regulates timing of meal breaks for these employees. Eliminates employers’ liability—in actions pending on or after October 25, 2017—for violations of existing law regarding work breaks. Requires employers to provide training regarding certain emergency incidents, violence prevention, and mental health and wellness. Requires employers to provide employees certain mental-health services. Our Rationale: This is good for the consumer and good for taxpayers by circumventing frivolous lawsuits. Prop 11 allows ambulatory companies to pay their employees for "on-call" breaks, instead of the mandated, unpaid hour-long breaks before and after their shifts that the unions love. Our Rationale: You may be thinking... didn't we already vote on chicken coop space? Why yes, yes we did. Back in 2008. But the Humane Society is coming back for more, just as all the farmers and ranchers complied with the original law. If they don't comply in time with Prop 12, they are banned from selling their meat or eggs. The Human Society sees dollar signs while the burden will be passed onto consumers. This may create shortages, frivolous lawsuits, and is unnecessarily burdensome on our farmers and ranchers who have already complied with the 2008 law. These are the mayoral and council candidates officially endorsed by the Humboldt County Republican party. We do support a tax to finance public safety but not trails and roads and HACHR. We request a sunset clause and a specific amount of money must be set aside for police and fire before anything else within the limits of the measure are funded. We choose to see a clear and specific intent for monetary distribution written into the measure. This Election 2018 Humboldt County Voter Guide will help you cut through the rhetoric, election propaganda and biased media coverage of the campaigns. This guide ranks every aspect of a candidate’s record according to experience, integrity and commitment to community. Do you live in another county? ◼ linkGo to the list of counties here. 1. The best candidate. Our strongest endorsement. 4. Vote only to prevent worse candidate(s) from winning. 5. Terrible. Do Not Vote. All your other votes will count. ◼ Court rating explanation (Be sure to click on this online to see the explanation. Governor Brown still has 9 days to act on 600 bills outstanding on his desk. With the bills the CFRW has been tracking, there has been some movement. Some good, some bad. First, it should be mentioned that Governor Brown has become much more progressive in his last and final term. Suggesting a $400 million satellite to monitor climate change is enough evidence of that. So, his actions on many of these bills may not come as a surprise. Governor Brown signed AB 1884 (Calderon, D) and SB 1192 (Monning, D) into law earlier this week. As you will recall, AB 1884 is a ban on plastic straws being offered at restaurants, subjecting restaurants to fines if they are offered or given with drinks. SB 1192 is another burdensome regulation on our restaurant industry, which prohibits fast food restaurants from offering juice, soda, or flavored milk with children’s meals. The good news is that Governor Brown vetoed SB 1424 (Pan, D), which would have created a “social media advisory board” through our Attorney General’s office that would have sought to curb “fake news” proliferation on social media platforms. Luckily the Governor thought the creation of such a board would be superfluous. The legislative season is ending and the election looms near. It is time for Republican Women to shift their focus to voter education. The General Election is only 7 weeks away, and while that may seem like a long time (and to low-information voters, it is), the CFRW and our members must work to educate voters across our state. With 11 measures on the ballot, voter education is key. Below is a list of our ballot measure recommendations, but for many voters, that is not enough. ◼ CLICK HERE for ballot measures’ summaries, CFRW recommendations, and our rationale. Last week we went in-depth with Prop 1.... Each week leading up to the election we will highlight a proposition or two with in-depth analysis and reasoning for our recommendations. It is not enough to educate ourselves anymore, we must help Californians wake up to the corruption of Sacramento and their manipulation at the ballot box! The official ballot summary of Proposition 2 is as follows: Ratifies existing law establishing the No Place Like Home Program, which finances permanent housing for individuals with mental illness who are homeless or at risk for chronic homelessness, as being consistent with the Mental Health Services Act approved by the electorate. Ratifies issuance of up to $2 billion in previously authorized bonds to finance the No Place Like Home Program. Amends the Mental Health Services Act to authorize transfers of up to $140 million annually from the existing Mental Health Services Fund to the No Place Like Home Program, with no increase in taxes. Prop 2 takes some background explanation. The legislature passed a bill in 2016, the No Place Like Home Act, to spend revenue from Proposition 63 (2004) on revenue bonds for homelessness prevention housing. The legislation, however, could not go into effect for two reasons: 1). Because of pending litigation over whether revenue from the millionaire's tax could be spent on homelessness prevention housing and 2). Because Prop 2 would reallocate revenue from a previously passed ballot initiative. Unlike general obligation bonds, revenue bonds do not require a public vote in California, but because this is a change to a passed ballot initiative, it must go before the voters. In 2004, voters approved Proposition 63- a one percent income tax on those making over a million dollars a year to fund mental health programs. Over a decade later, much of that money remains unspent for a wide variety of reasons. Therefore, two years ago the Legislature approved the No Place Like Home program to spend the unused revenue. This program authorizes the $2 billion general obligation bond to pay for housing for those with mental illness who are homeless or who are at risk of becoming homeless. The bond would be paid off with up to $140 million of existing Proposition 63 monies annually, for 30-35 years. Both chambers of the state legislature approved AB 1827 (now, Prop 2) on June 25, 2018. The vote in the state Senate was 35-0, with four members not voting, while the state Assembly vote was 72-1. If passed, the bond would allow for the distribution of $2 billion among counties as deferred payment loans to finance capitol costs of approximately 10,000 permanent supportive housing for persons eligible for services under Prop 63 and are homeless, chronically homeless, or at risk of chronic homelessness due to mental health. The California Republican Party has no position on Prop 2 because this was placed on the ballot after the Party’s convention last May, where positions on ballot measures were made by the CRP Initiatives Committee. The California Federation of Republican Women have recommended voting NO on Prop 2. Our Voting Body believes that the original Prop 63 Mental Health funding should be used for mental health programs, not for housing. We acknowledge that our cities have a homelessness crisis, but we believe that throwing money at the problem in the form of housing is not the answer. Catching the signs of mental illness earlier, giving schools and families the tools to help their loved ones with a mental illness, and more education on mental illnesses should be addressed, but Prop 2 does nothing for that. Join us in voting NO on Prop 2. Justice Gorsuch turns 51 today. Gross domestic product has increased at a 4.2 percent annualised rate, the Commerce Department said today, in its second estimate of GDP growth for the April-June quarter. It was riveting for its portrayal of the government´s abuse of every hi-tech tool at the ready to surveil and destroy a man´s life. AMLO's Jesus Seade is having lots of the WINNING today!! The President of Kenya gets it: "More importantly, we are here to pursue and to strengthen OUR TRADE and investment ties." The video wizards at Bad Lip Reading have done it again -- this time with the most hilarious White House press briefing ever. Press Secretary Sarah Huckabee Sanders is totally boss. In current American politics, there's probably no one who has the military background that John McCain did. We are saddened to hear of the passing of @SenJohnMcCain. His decades of service will not be forgotten by the men & women of Arizona. May God grant the McCain family comfort and peace during this difficult time. Sen McCain was a courageous warrior who served and suffered for the freedom we all enjoy. I lost the GOP nomination to him in 2008 but we never once had a cross word. After he beat me I campaigned vigorously for him. No regrets. My heart goes out to His family. In July 2013, Sen. John McCain honored the passing of his cellmate from the Vietnam War, George ‘Bud’ Day. Where was CNN when antifa blog the Huffington Post smeared McCain? Don't let these tributes fool you. They smeared McCain as a white supremacist when he ran for office, and no one in the media cared. Americans elected Donald Trump, not Bob Mueller. Mueller’s only purpose right now is to void your vote. This witch-hunt is a colossal disgrace and a national embarrassment. Washington, DC paying tribute to John McCain and wishing him peaceful final hours. What the Democrats fail to realize is that they may have passion -- actually, hatred -- to fuel their efforts, but that hatred does nothing for the economic growth, prosperity, and security of the American people. Why are Venezuelans tumbling into extreme poverty and leaving the country for better opportunity? Mollie Tibbetts Killer Used Stolen and Fake Identification To Remain Illegally in the U.S.
My good friend & American Patriot @DineshDSouza is releasing another film. In theaters August 3rd, 2018!!!!! Tickets: $13.00 Includes a free DVD of a D'Souza movie. Now the target of the Democrats is President Trump and his supporters. The Left calls them racists, white supremacists and fascists. These charges are used to justify driving Trump from office and discrediting the right "by any means necessary." But which is the party of the slave plantation? Which is the party that invented white supremacy? Which is the party that praised fascist dictators and shaped their genocidal policies and was in turn praised by them? Moreover, which is the party of racism today? Is fascism now institutionally embodied on the right or on the left? The WSJ got two airline CEOs to sit in their economy seats. United Airlines refused to participate. ...Hansen said the council must do something to respond to threatening behavior at council meetings. Sacramento Democrats are trying to jam through hundreds of millions in tax hikes, but thanks to Prop. 13 they can't raise taxes without a supermajority vote. Pompeo: Iran's leaders resemble "the mafia more than a government"
Every now and then the Ninth Circuit Court of Appeals — arguably the nation’s most progressive federal circuit — can offer up a legal surprise. Yesterday, it gave us a legal shock, when a divided panel of its judges affirmed last year’s federal district-court injunction temporarily blocking enforcement of California’s confiscatory ban on so-called large-capacity magazines. Under California law, any person who possesses a legally purchased magazine capable of holding more than ten rounds of ammunition must either remove the magazine from the state, sell it to a licensed firearm dealer, or hand it over to law enforcement. Those citizens who retained their magazines after the law went into effect risked a fine or up to one year’s imprisonment in county jail. If you look at Trump's actions in that context, what he says and what he does aren't so strange. His strategy should be clear by now to all those except those (unfortunately many) who deliberately don't want to understand it. What? Did you just read that headline correctly? Barack Obama -- although the New York Times would burn down its own building rather than admit it -- did an abysmal job with Putin and was indeed the one who was truly "owned" by the Russian. And it wasn't just the silly reset button and the embarrassing video of Barack whispering into Medvedev's ear to tell Vlad he -- Barack -- would be more flexible on missiles after the election. (What a toady!) Even worse, in his Chamberlainesque ardor to make a deal with Iran's mullahs, Obama let Putin play him in Syria, agreeing not to honor his redline against Assad's use of chemical weapons in order not to endanger the deal. Trump never did anything nearly that pathetic. Actually, he stands up strong. But the David Gergens of the world yammer on that Trump is doing everything wrong. He's certainly doing some things wrong -- we all do -- but being gracious to Putin personally while actively opposing what the Russian does in his actions, may be exactly the way to get results. But Trump's opponents don't care about results. Overwhelmed with hate, they would prefer to see the president wounded and impeached than succeed with Putin and bring about a world safer from nuclear armageddon. If Trump achieves this, however, it will be his finest hour. It would be for any president. Wow - Politico describes our Yes on Prop 6 - Gas Tax Repeal Campaign as "unexpectedly robust" - damn right! California Governor Jerry Brown, heading into his last months in office, is staring down a capstone political challenge — an unexpectedly robust GOP effort to dismantle one of his legacy achievements. The optics of Mueller offering immunity to the brother of Hillary Clinton's campaign manager (and a major Democrat lobbyist) so he can testify against Trump's former campaign chairman are beyond awful. What happens in voters’ backyards can affect their choices as powerfully as what is happening in D.C.
As more people leave the Bay Area, local moving companies are struggling to keep up. ...From Santa Rosa to San Jose, more and more residents are making the bittersweet decision to leave the Bay Area, abandoning its near-perfect weather, booming economy and thriving arts, culture and food scenes in favor of less-glamorous destinations like Austin, Boise and Knoxville. Some are fleeing the Bay Area's sky-high housing and rent prices, both among the most expensive in the nation. Others are cashing out, selling their homes to get more for their money in a less expensive city. Nearly all of them are fed up with miserable, hours-long commutes on snarled freeways. ...Partly this is the result of the federal government’s arrogation of state power; there just aren’t as many local issues to argue about anymore. But even more it’s the decline in the power of incumbency and the rise of the primary wars. Republican Eric Cantor, the powerful House majority leader, wasn’t upset by a Democratic opponent in 2014; he lost the GOP primary to an unknown Virginian economist, David Brat. The latter’s support came initially from national media with knives sharpened for Cantor as a GOP establishment favorite. Incumbents are under assault from both left and right and so the question of whether they “stand with the president” or are willing to “stand up to the president” is the only one. Rather than talking to the voters themselves and figuring out the three or four things that concern them most immediately, candidates listen mainly to their consultants and decide whether their campaigns will venerate the president or denounce him. For the press, arguing about the presidency and the future of the country is more interesting than arguing about the continued funding of a military base or the local effects of a federal environmental regulation. And so every election becomes a referendum on the the man in the White House and his policies—which today means that everything becomes more about Trump than it already was. One’s attitude toward the president is important, but it’s hardly the only relevant thing to know about a candidate for high office. There’s no reason a principled congressional candidate can’t say Trump’s right sometimes and wrong sometimes—say, disagree with him on trade policy but praise him for withdrawing from the Iran nuclear deal—and, with that out of the way, move on to discussions of greater local and regional concern. Yet we’re hard-pressed to think of any candidate doing so in 2018. First the FBI & DOJ relied on a Clinton contractor (CrowdStrike) to provide research to blame Russia for hacking Clinton, then they relied on another Clinton contractor (Fusion GPS) to obtain a warrant to spy on Trump campaign to frame it for colluding w Russia. Notice a pattern? The FBI & DOJ agreed to not issue warrants to the DNC or Clinton campaign to search computer devices in the Russia hacking probe, just like they agreed to not issue warrants to Clinton and her aides to search their devices in the email espionage probe. Q: When did the DNC provide access for the FBI for your technical folks to review what happened? COMEY: Well we never got direct access to the machines themselves. The DNC hired a firm [CrowdStrike] that ultimately shared with us their forensics from their review of the system. Q: You have still never been given access to any of the machines hacked by the Russians? Dems now claiming Mueller/FBI didn't need direct access to DNC/DCCC servers & computers b/c he had "images" from CrowdStrike. Really?See IG report, which makes clear how critical it was for FBI to physically acquire devices & servers in Hillary email case.But not in Russia case?! 2) ICA claims motive for Russian attack was to "help Trump win," whereas Mueller says objective was simply to interfere in election.